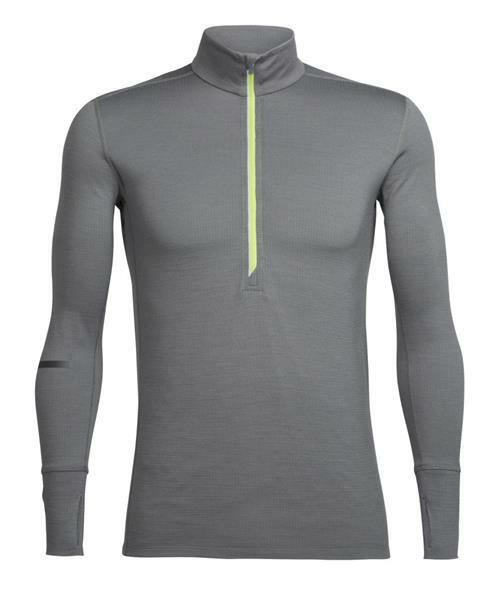 A highly technical pullover midlayer ideal for chilly trail runs, alpine rock climbs or summer backpacking trips, the Incline Long Sleeve Half Zip is designed with a 230gm fabric that blends soft and breathable merino wool with polyester for improved wicking and faster drying. The Incline’s waffled texture also holds in warmth when layered under a shell, and underarm gussets provide incredible range of motion for hiking, climbing or other high-output pursuits. Laser-cut holes in the underarms and a deep front zip opening aid in ventilation when you’re moving fast and working hard. Thumb-hole cuffs make for easy layering and added warmth, a rear stash pocket holds your car key or cash, and the reflective front zip and reflective tape on the right arm increase visibility for around-town runs and other urban adventures.